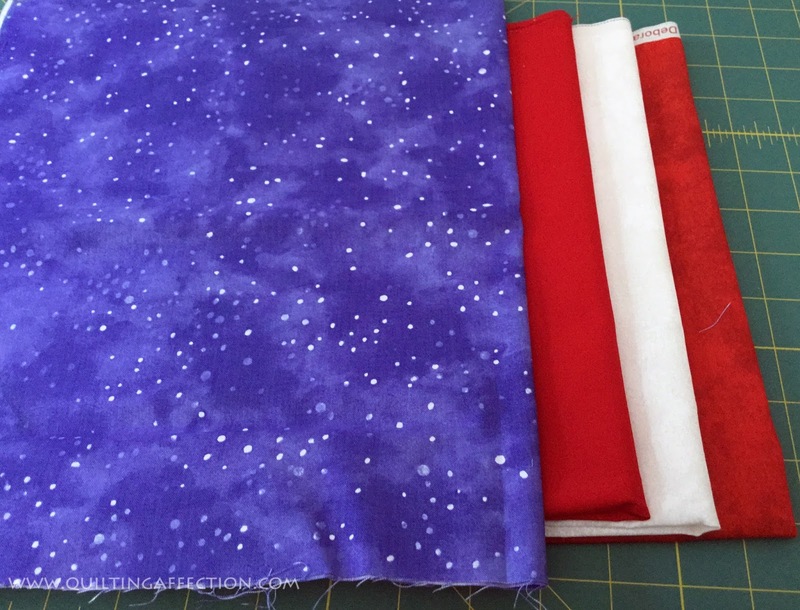 Today, is the day for the big announcement of the Lucky Winners are of the Two - 5 "Beaujolais Fabric Bundles from the Island Batik Back to School Blog Hop. 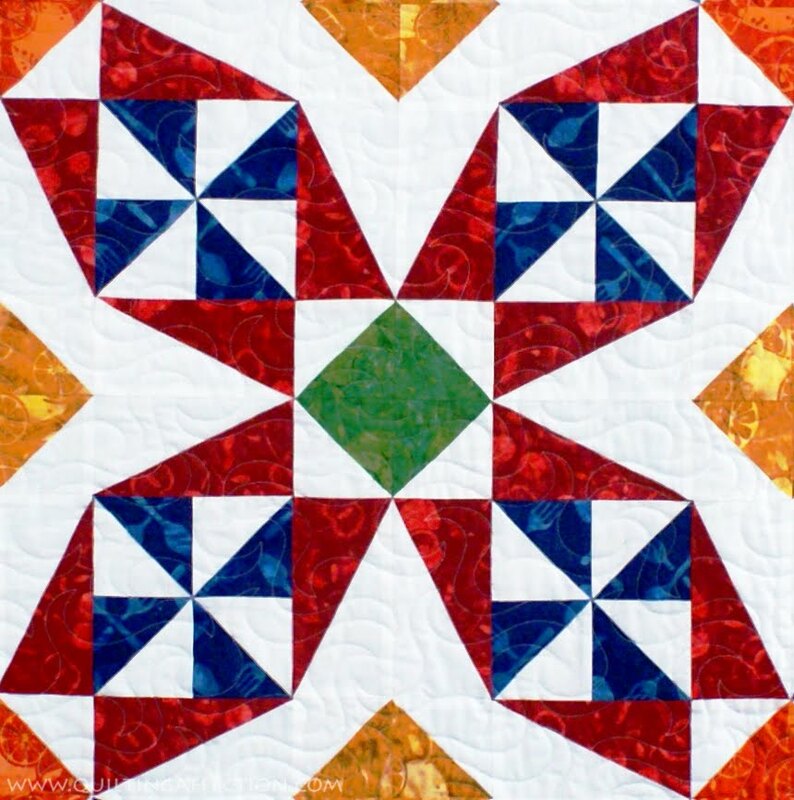 Each bundle contains 44 - 5" strips of various fabrics from the "Beaujolais" Collection. I will be emailing the both you shortly to get your information. Please remember you have 5 days to claim your prize. REI Outessa what a great experience! This past weekend was a powerful weekend for me, and over 250 participates in the last REI Outessa of the year in Waterville Valley, New Hampshire. Before I start, I would like to let you a few things about me. First, last year was a big transformation year for me, I lost over 50lbs, gaining my self-confidence, my love of the great outdoors back, and so much more. Secondly, you need to know that I'm not a highly sociable person, takes me a long time to get my nerve to up to talk to people. 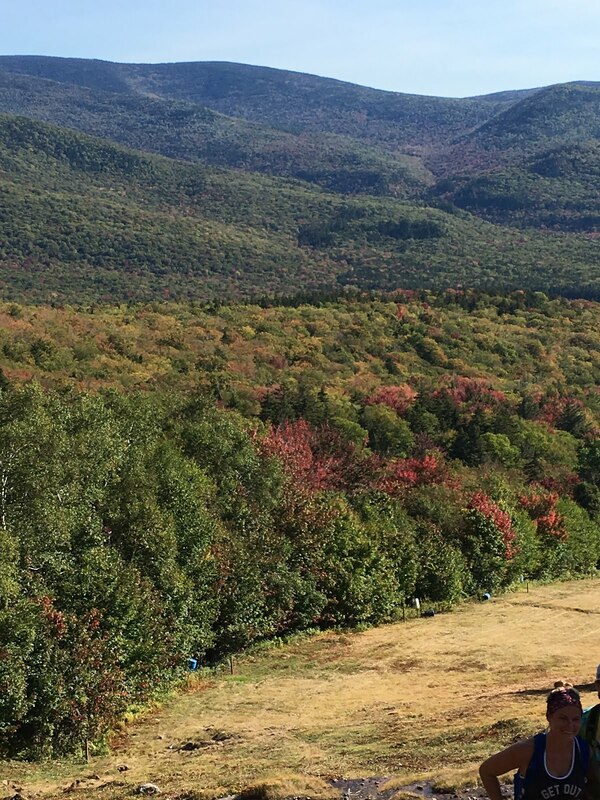 So last Wednesday, I started a two-day driving trek to New Hampshire. 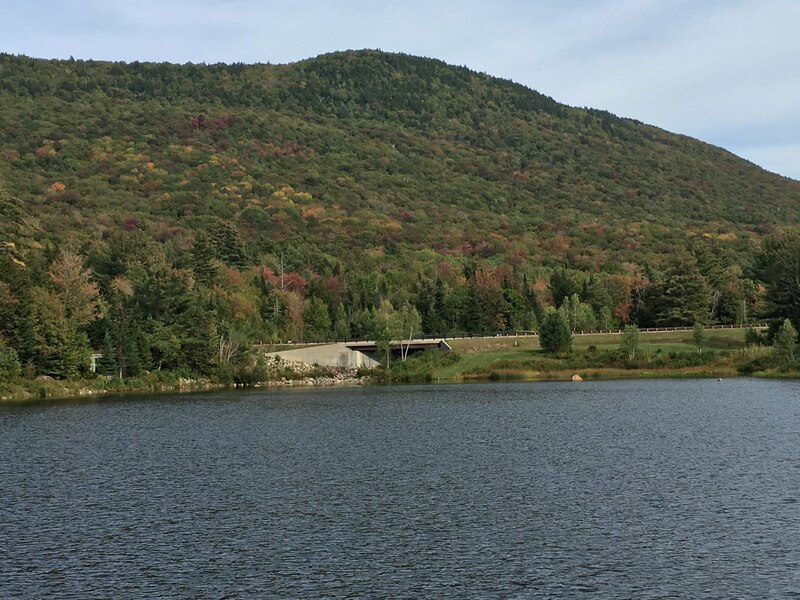 I arrived on Thursday afternoon at my destination the Waterville Valley Resort located in the White Mountain National Forest. 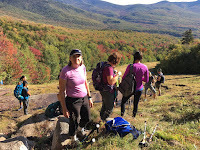 The area was just gorgeous with the Fall foliage starting to come out in the Mountains. When I arrived I a solo traveler and absolutely knew no one who was attending. I arrived a little early, so I had a short time before registration began. So as I was walking in, I overheard two ladies talking at a table outside one of them introduced them self from the Washington DC area. So, I had to go over and introduce myself and let them know I was from the same area. 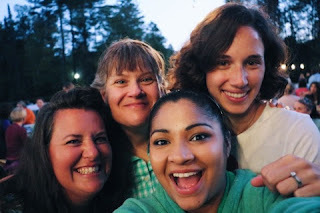 So, I was introduced to Ambreen (Maryland), and Mary Ellen (Long Island). So we just started talking and walks up Sarah (Pennsylvania), and she was introduced by Mary Allen to all of us. This is how our little tribe was formed. 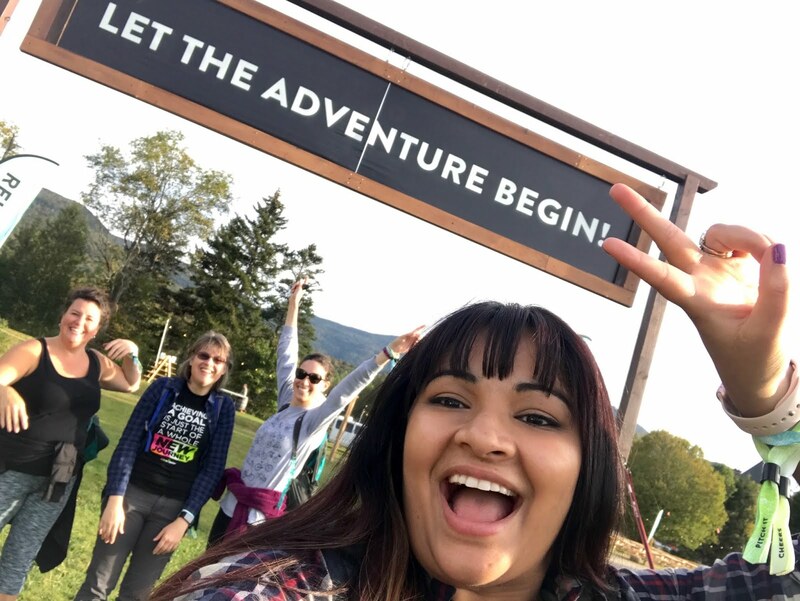 Once Registration was opened, received out camp bracelets, information about DIY camping and given a nice swag bag of goodies. Sarah and I were the last ones to finish our registration. So we decided to camp together, so we walked over to the DIY camping area, and started to pick out campsite. We noticed that Mary Ellen and Ambreen where already starting to set up, so we decided to camp next to them. So we got our packs and began to set up camp for the next three nights in the DIY Camp City. 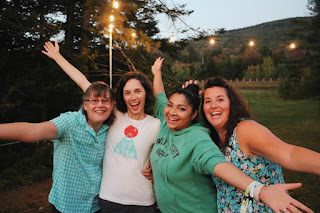 The first night after registration we had a happy hour and campfire with Smores. The next day, I was awake at 6am. So I got up prepared for the day of hikes and classes. Mary Ellen was awake also when I crawled out of my tent. So we walked over for coffee from the Allegro Coffee Bus and breakfast started by the time we arrived over to the building. The breakfasts for all the days were just excellent. Sara and Ambreen joined us shortly after. We then all split up for the day, due to we all had different events and classes on our schedules, but we would meet up for lunch and dinner. My first event of the day was the Mountain Steam Hike at Cascade Falls Trail. We had to guides and one particular person on our trip. Diana Van Deren, an Ultrarunner, sponsored by North Face who has won various races over the years and overall lovely lady to talk to. Anyway, she made the 5-mile hike memorable with tips and socialization did with all of us. The hike had great views and beautiful waterfall to take pictures of. 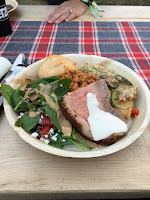 We got back for lunch which was make yourself sandwiches or salads, plus brownies for dessert. Then it was off to afternoon classes that included Map and Compass Basics, and Outdoor Tool Maven with Leatherman. 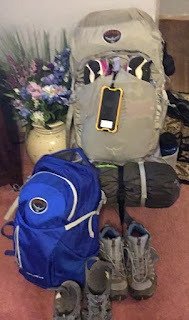 After the class, I went back to camp and repacked my backpack with jackets for the evening. 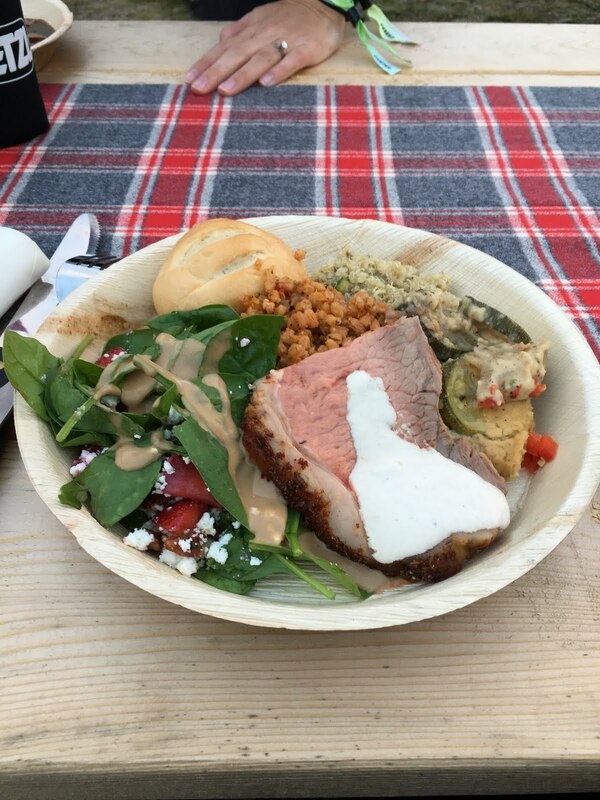 I tell you that the meals at this whole event were excellent and nutritious. Made of organic and whole foods. Dinner the first night was Sirloin Beef sliced for you, salads, and vegetables. The dessert was a pumpkin mousse that was yummy. 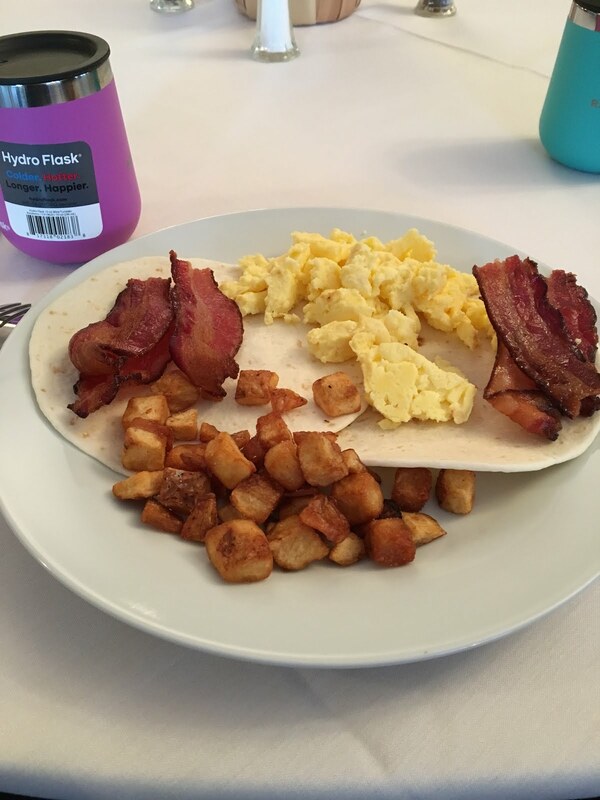 Saturday, I woke up early on a cold morning to rise and shine yoga, then off to eat a quick breakfast and was off to get ready for my day. 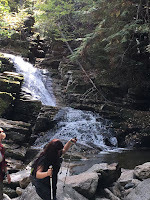 My day started out with another hike this time I was doing Mount Tecumseh Scenic Hike a beautiful 3-mile hike. We were supposed to summit but the groups the day before finding out it was too much for the morning session, so they cut it in half. I was thrilled with myself; I was able to keep up with the leader the whole way through. I wouldn't even able than a year ago; I was so happy with myself. We came back in time for lunch, and then off to our afternoon classes. The temperatures were already in the 80's. Drinking a lot of water and trying to stay cool the whole time. My class in the afternoon was Wilderness Survival. After my class, I decided to go ahead a get ready for dinner with a nice shower. They provided us with portable showers for us to use. I felt so much better and refreshed. Dinner was a surprise for all of us that night. We were told to be in Outessa Village by 6 pm due to we go to dinner together. We walked around the pond to our dinner location. Were we found bowls of Clam Chowder waiting for us. 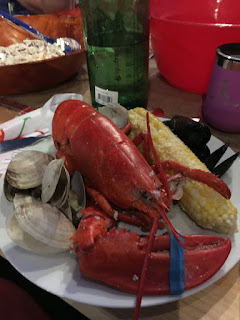 We were having a New England Clambake. 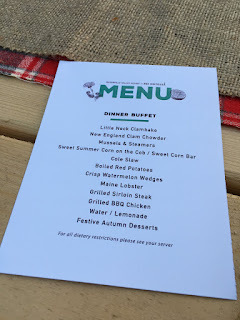 I was so excited, but also little bummed due to I know it was the last meal for us all. But we made the most of the evening, eating the great food and enjoying the social time with everyone at tables. The night ended back to the village with music and dancing. What a night and will never forget it. The next day, I was up for the rest of the ladies, so I thought, Mary Ellen was at a table eating breakfast the time I got there. My day started with Kayaking. I loved being on the water in my kayak. After my kayaking, I was heading back to camp to break down my camp before my next class. But I ran into Ambreen and Mary Ellen. Ambreen was getting ready to head back to the real world. So we said out goodbye so she could catch her flight. So Mary Ellen and I walked over and broke down camp and walked around the Village before we split up for our next classes. 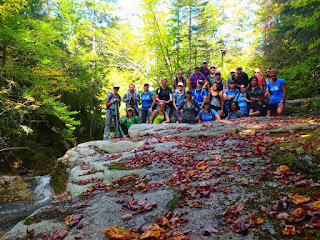 My class we Hydration 101 class with Osprey. Great Class and useful information. After lunch, I had my last class, First Aid in the Wilderness. Sarah then said her goodbyes to both Mary Ellen and myself. Shortly after that Mary Ellen and I said our goodbyes and off we were off. What a fabulous weekend and great friendships that were made, I the only thing I was thinking about on my long drive home yesterday. I feel my transformation last year has made me a new person and this Outlessa weekend made me even stronger. I will never forget my tribe (sisters) and this weekend. Love you, ladies, a lot all ready. Sweaty, Dirty, and happy we all were. New Hampshire Here I Come!!! All my bags are packed, and I'm ready for my trip. 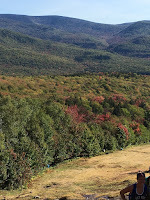 Today, I'm leaving for a long road trip to Waterville Valley, New Hampshire for a once a lifetime experience. What I'm I done on this road trip? Well let me tell you, and no it is not a quilting journey. Well back in early March, I found an ad for a Women's Outdoor Retreat on Facebook. The retreat was from REI. 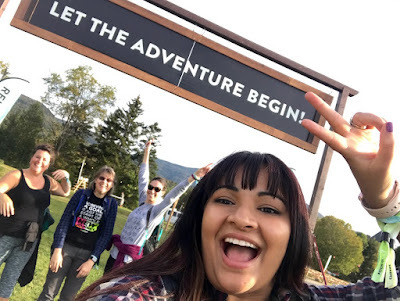 So I did a little research and reading on the last years retreat and fell in love. So I discussed it with my youngest son (how is an avid outdoor person). He was all for me to go, so I brought it up to my husband, and again he was for me to go also. The retreat I'm going to be attending is called "REI Outessa." This trip will be an all-women outdoors weekend. 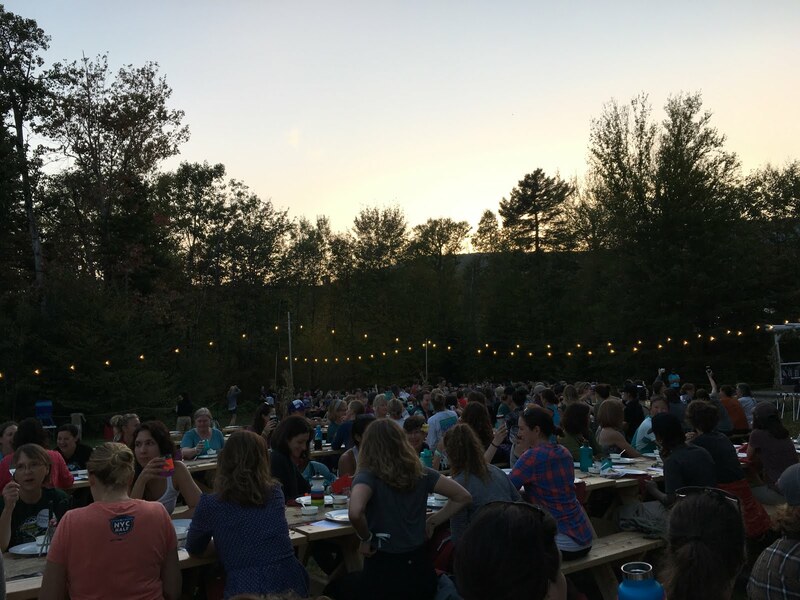 During this three-day retreat, I had hundreds of activities, from Hiking to Yoga. 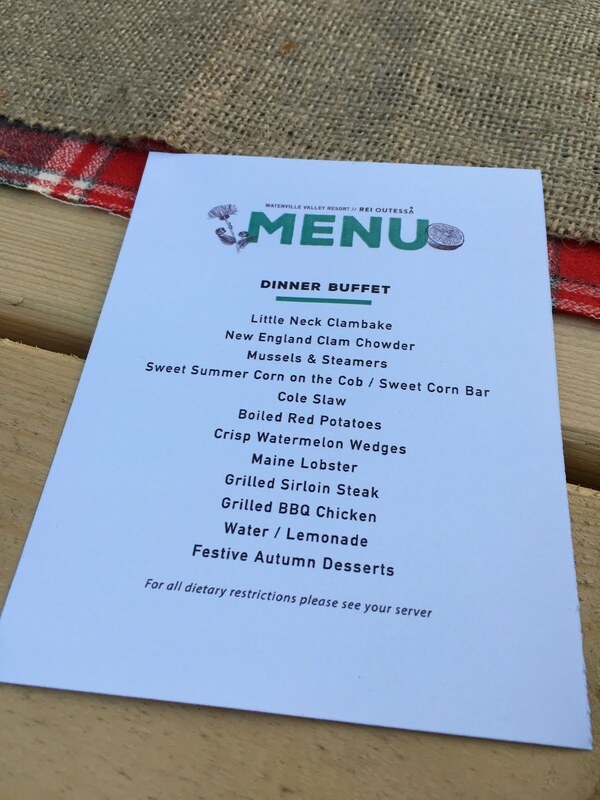 All the gear for the activities, instructions, and chef-prepared meals are included. I staying in DIY Camping sleeping in my tent in the great outdoors. They have 3 retreats this year, the first two were located on the West Coast. 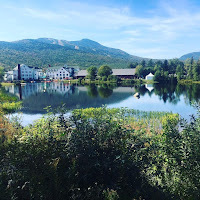 The only one close to me was at Waterville Valley Retreat in New Hampshire. The drive for me will be broke down into 2 days of driving to New Hampshire. Today, I will be driving to Connecticut, and the next day, I will be arriving in New Hampshire by check-in Thursday evening. I will be in New Hampshire until Sunday afternoon. Then I will be home on Monday night. I will post again on my return from my trip, can't wait to tell you all about it. While I'm gone, I will have limited access to the internet and my websites. You can still place pattern orders on my website and leave comments on my blog post. I will get to answering all my emails and filling orders on Tuesday Morning. 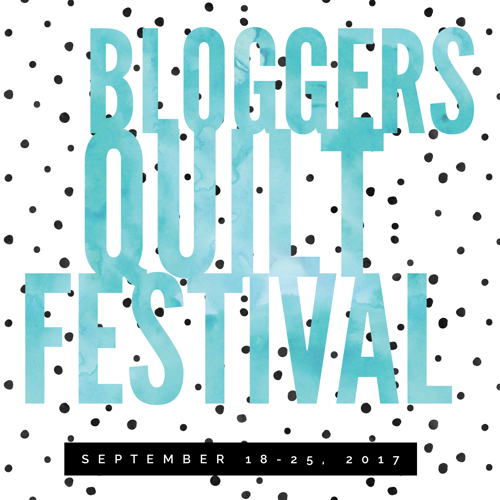 This week September 18-25, 2017, is the Bloggers Quilt Festival at Amy's Creative Side. My first entry, A-Mazed! has been already been posted this morning, so now I have finally decided on my second entry for the Festival, so here it is. What to add glamour to any room in your house then check out my latest pattern "Octagon Gems," my second entry in the Bloggers Quilt Festival at Amy's Creative Side. 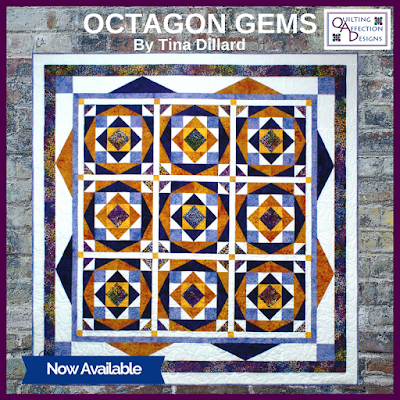 "Octagon Gems", 56" x 56"
This 56"x 56" quilt is featured in the Spring/Summer 2017, Island Batik Catalog. 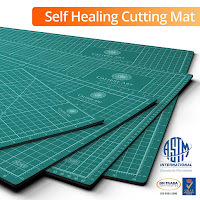 The image above uses the Island Batik "Bonsai" Collection. 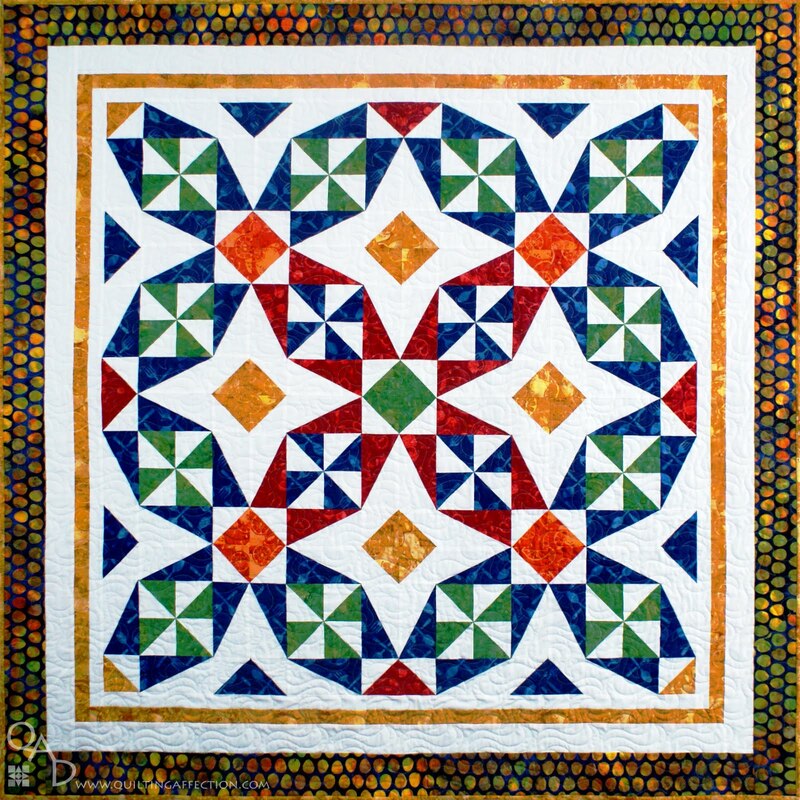 This intermediate pieced pattern uses a combination of half rectangle triangles, flying geese, and half square triangles to make up the two blocks in the quilt. I used the following Bloc_LocⓇ Rulers to make this quilt. 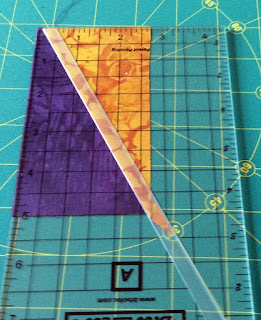 Half Square Triangle Rulers 2 1/2", Flying Geese Ruler 2 1/2" x 4 1/2", and the Half Rectangle Triangle ruler 4 1/2" x 8 1/2". 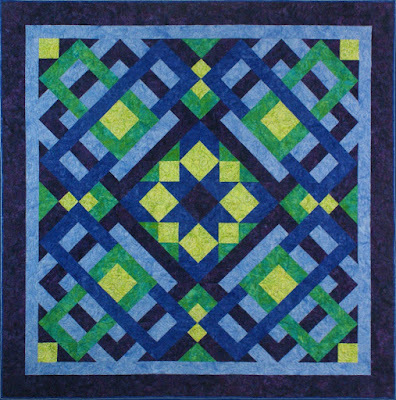 Fun Fact: When I designed this quilt, I had never made a Half Rectangle Triangle in my life. 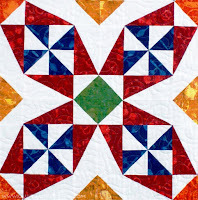 Yes, I did make one as a test before submitting the quilt design to Island Batiks. The fabrics in this quilt make the quilt glamour. 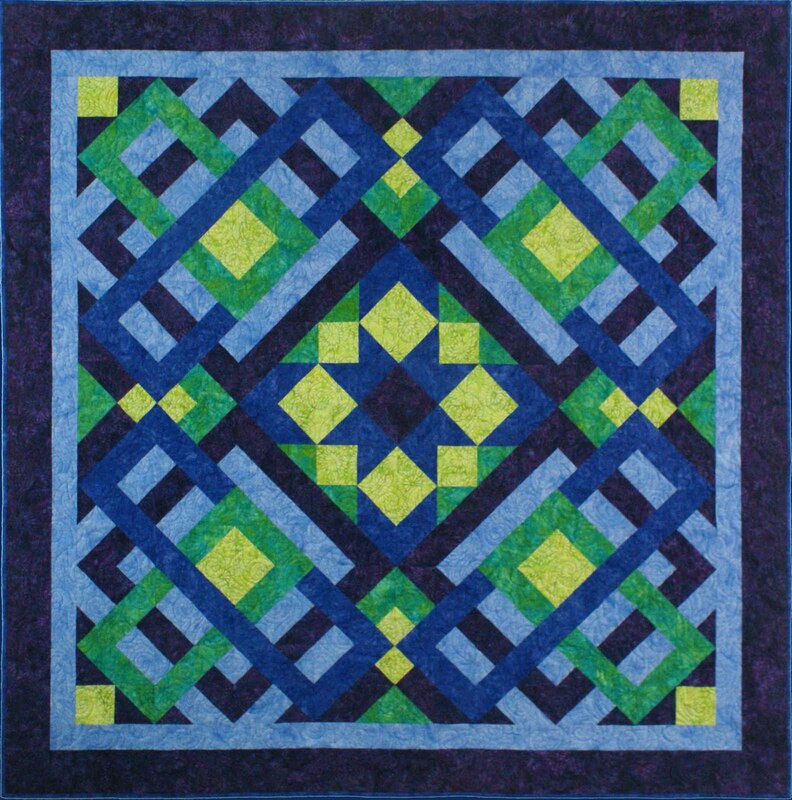 What color schemes would you use to make this quilt. I would love to hear, please comment below. 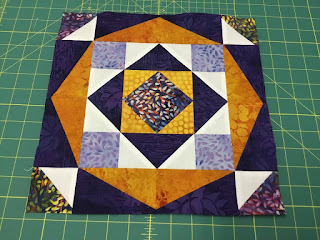 Be sure to check out the other great quilts and my first entry in the Bloggers Quilt Festival 2017 at Amy's Creative Side. 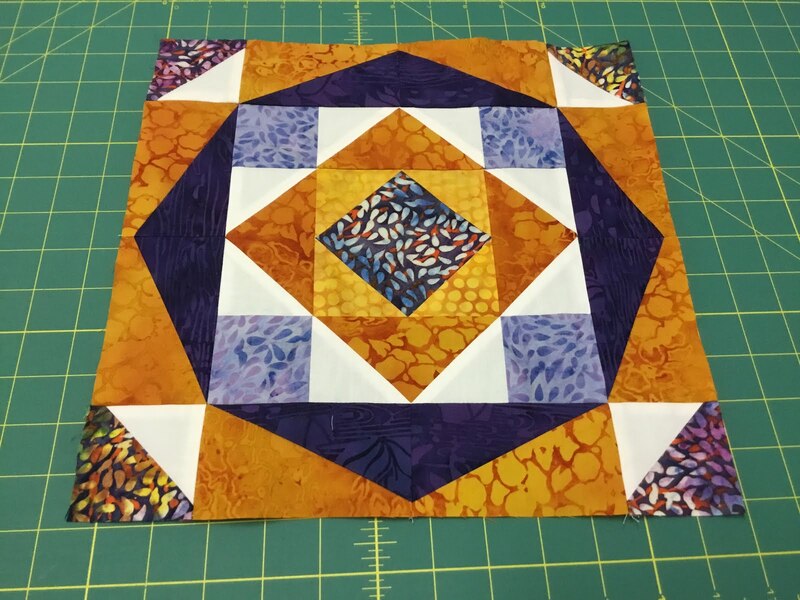 Blogger's Quilt Festival 2017: Entry #1 A-mazed! My first entry for the Blogger's Quilt Festival 2017 is "A-Mazed!". During my first year as an Island Batik Ambassador, I able to start designing with Island Batik fabrics catalogs. A-Mazed! was one of my first quilts I designed with Island Batik Fabrics and was first released for the Island Batik Fall/Winter 2016 Catalog. 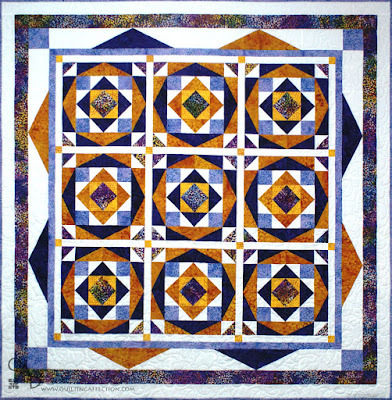 The quilt measures 59" x 59" when completed. The fabrics used in this picture are from the Island Batik "Drizzle" Collection. Bloc_Loc Rulers® Flying Geese Ruler - 3 1/2” x 6 1/2”. 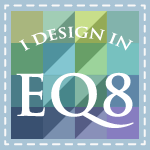 This was a fun quilt to design in EQ7. I would play with the blocks and the colors until they flowed together. I love to play with colors a lot with my designing, here is a couple of alternate color schemes. I hope you enjoyed my introduction to A-Mazed! 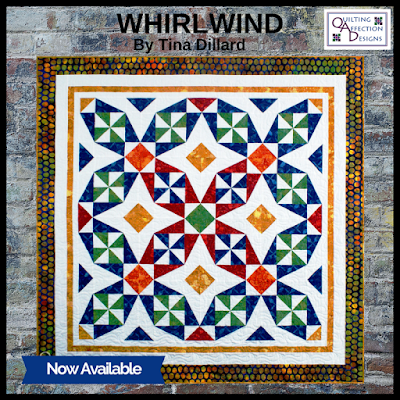 An amazing quilt that looks complicated but really it is not. 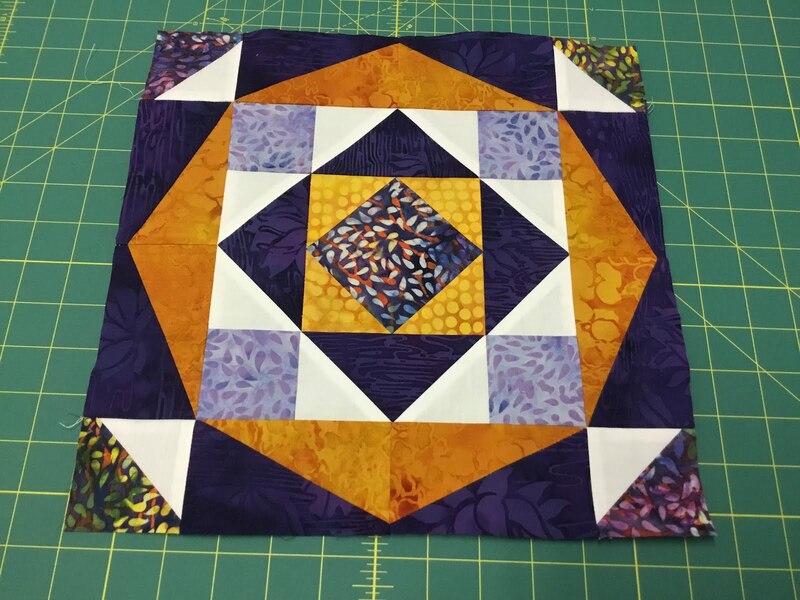 Be sure to check out the other great quilts on the Bloggers Quilt Festival 2017 at Amy's Creative Side. Fabrics: Island Batik "Drizzle Collection"
Looking through my blog posts. I just realized that I never published blogs on my newest pattern releases from the Spring/Summer 2017. So I decided, I better get on it and show them to all of you. This gorgeous pattern brings in some breeze into your home. 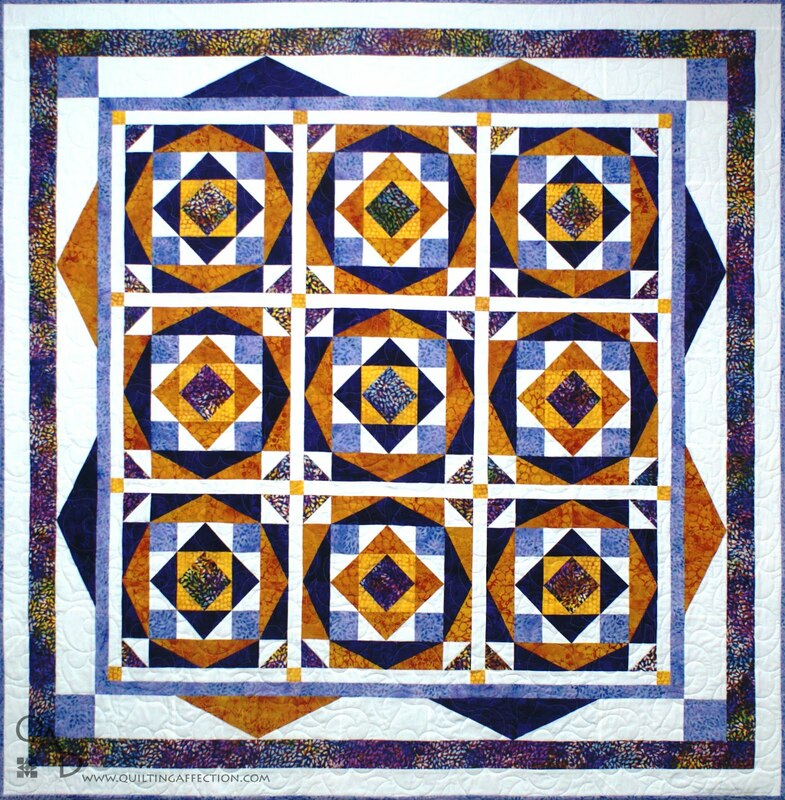 The quilt measures 54" x 54" and uses the piecing combinations of Half Rectangles Triangles and Half Square Triangles to bring the quilt to life. This pattern was designed to be used with Bloc_LocⓇ Rulers, but you can use your favorite rulers also. The quilt cover was made from the Island Batik "Rise and Shine" Collection which is now available at your local quilt store. If your store doesn't have this collection, ask for it. This quilt will add some glamour to any room in our home. 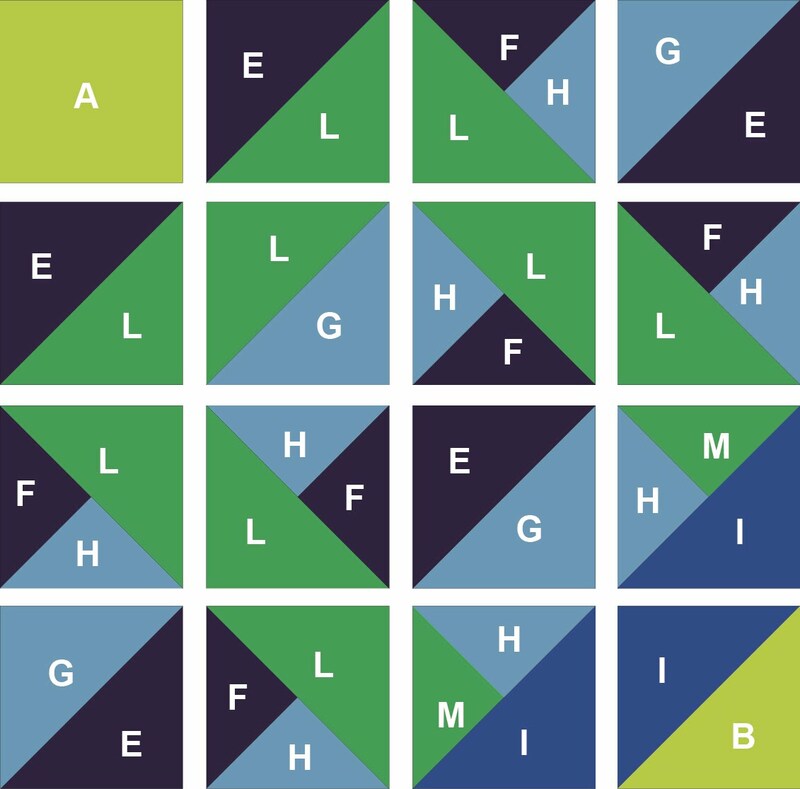 This intermediate pieced pattern uses a combination of half rectangles triangles, flying geese, and half square triangles employing Bloc_LocⓇ Rulers. The quilt cover was made with Island Batik "Bonsai" Collection, which is also available at your local quilt store. 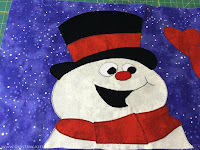 Christmas Caroling Row Along - Frosty the Snowman! Welcome to Day One of the 3rd Annual Row Along hosted by Seams to Be Sew. This 6-week event will feature 42 bloggers bringing their interpretation of their and your favorite Christmas Carols in a cute 30" x 10" rows (horizontal and vertical) and patterns for you to download. The row along starts today, September 5th and ends October 10th, 2017, with lots of giveaways every day so make sure you check back to see what the new giveaway is. This is my first year to do this Row Along, it has been so much fun to come up with a design that matched the Christmas Carol. The carol I chose for this Row Along was Frosty the Snowman. I loved the song and shows growing up and still do watch them every year. 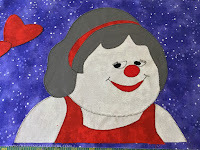 The shows took the song a little further into more adventures, so it was hard to choose what I wanted to design to bring the actual part of Frosty out. So I finally decided on a design that shows the sparks that Frosty had when he met his love of his life Crystal. 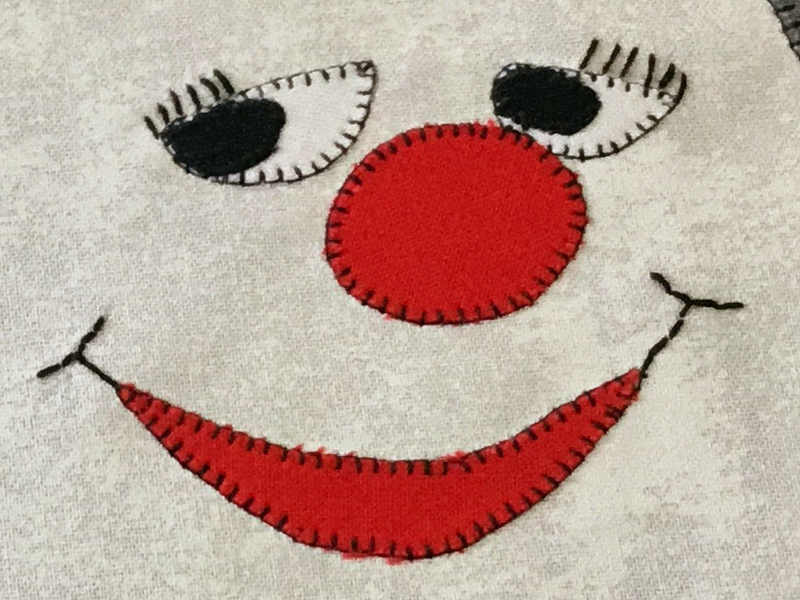 "Frosty's True Love," the pattern shows the reaction both characters had when they spotted each other for the first time. Crystal is demonstrating that cuteness and shyness, and frosty has that smile of the shock of seeing that one and only girl for the first time. The pattern measures 30" x 10". The gray and black fabrics came from scraps in my fabric collection. 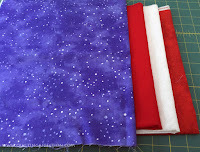 Thank you to Northcott Fabrics for donating the fabric used in all the participating in the blog hop. Adding characteristics to the row such as Frosty smile and Crystal mouth and eye lashes can be easy by sewing a few strands of Embroidery Floss to the finished row. If you didn't want to sew the embroidery floss, you could use a PigmaⓇ Micron Pen to add the elements. I decided to make my row into a small table runner. I have added the instructions for adding the optional borders in the pattern. 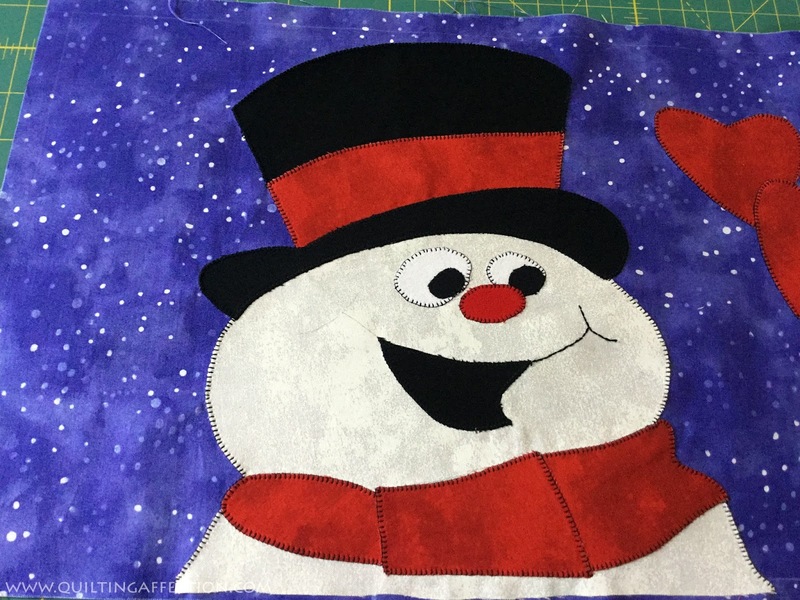 Now for the pattern, just click on the link below to get your free copy of "Frosty's True Love. The pattern is free. 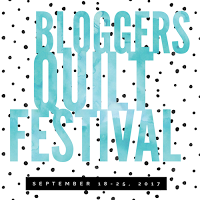 Please check out the other blogs going on today and through out the whole event, plus the giveaways at the bottom of this blog. 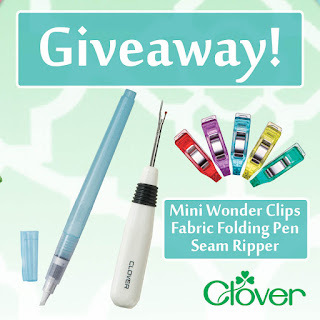 All winners will be announced on the blogs via the Rafflecopter entry form and/or post by the blogger at the site where they won and here at [Seams To Be Sew](http://www.seamstobesew.com). All winners must allow for their first name and first initial of their last name to be announced on this blog.